We are delighted to finally announce the release of the Blink printed pattern and downloadable PDF. We know many of you have been waiting keenly. 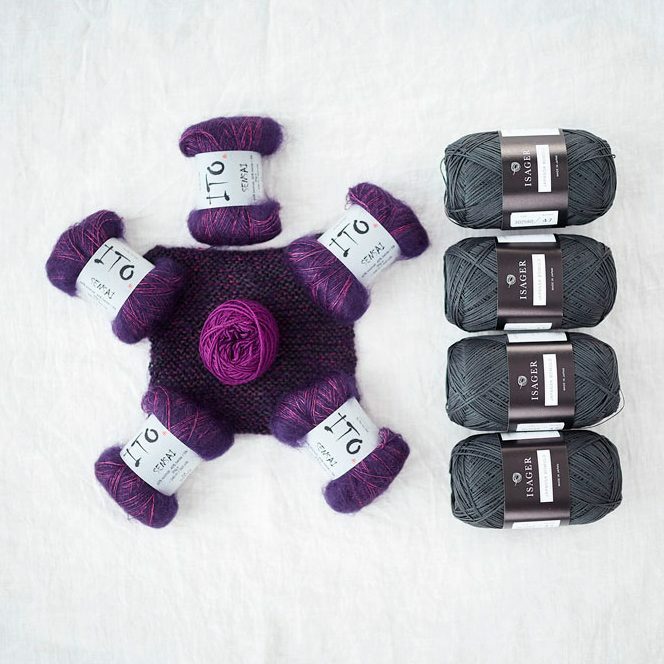 Our Blink kits were a huge success at EYF and so we have decided to make four new versions available through our shop. 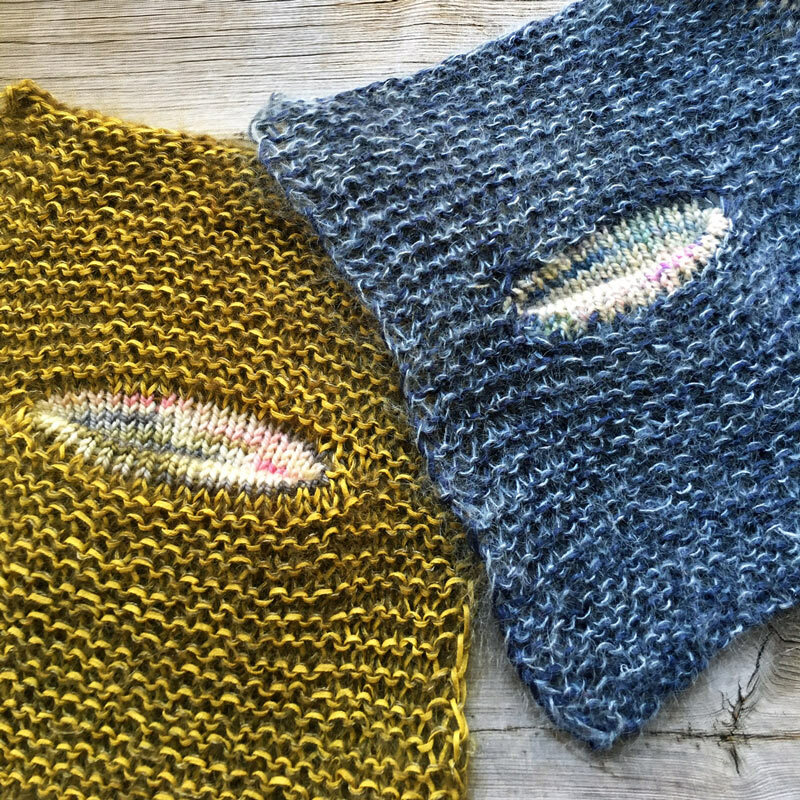 We catch up with Ragnhild to ask her about her experience designing Blink for us, and announce a Blink Knit-Along. “I have been knitting since I was 5 years old. 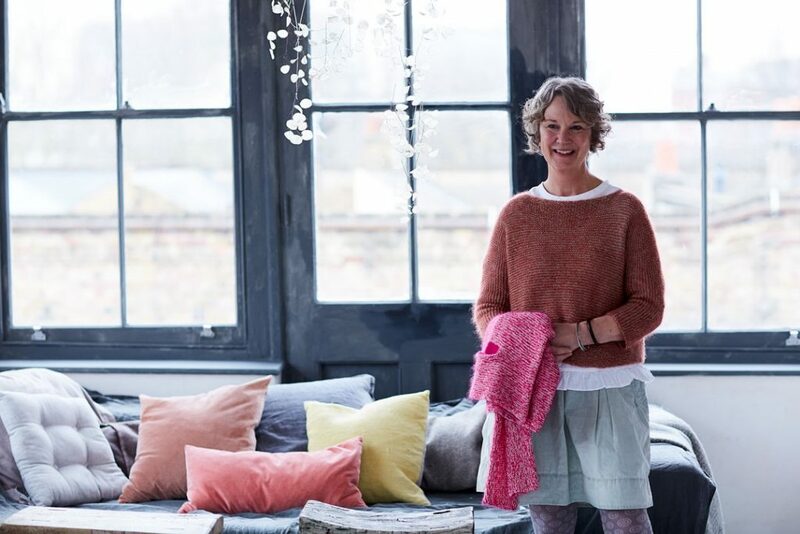 I love knitting – when I first visited Loop, many years ago, I was in heaven! This was a completely different kind of yarn shop! So inspiring. Since then, every time I have been to London, I have to visit! It’s become one of those places I have to see again and again, which never fails to inspire. “Knitting is an addiction and being able to make my own designs has been a wish for many years. When Susan saw the sweater I was wearing and asked to publish it I was so excited! It was like a dream come true. Chances – take them like vitamins. 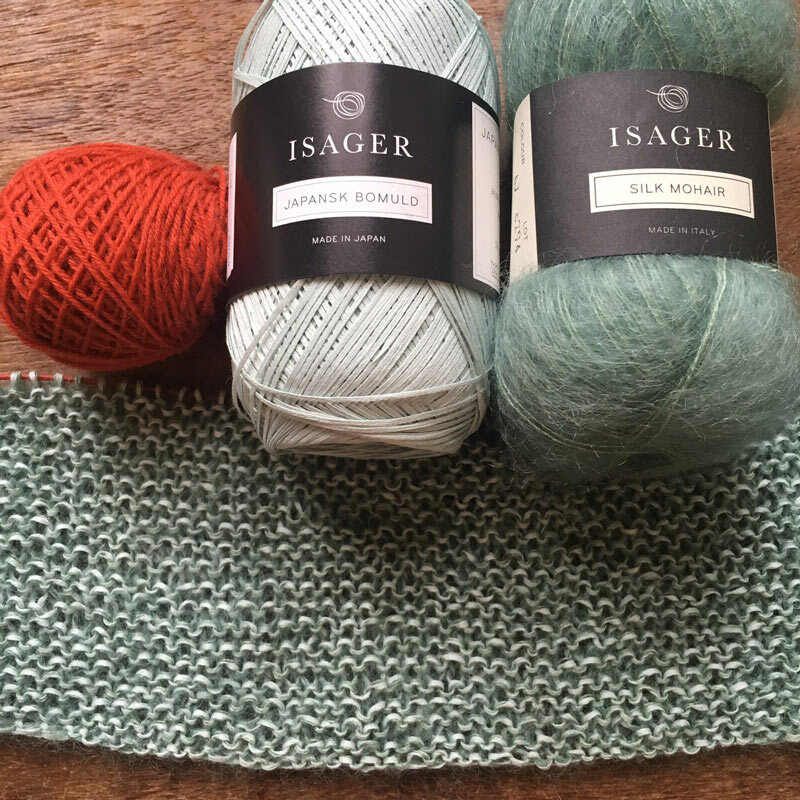 Our first kits used the zingy Ito Sensai mohair, worked together with the Isager Japansk Cotton. 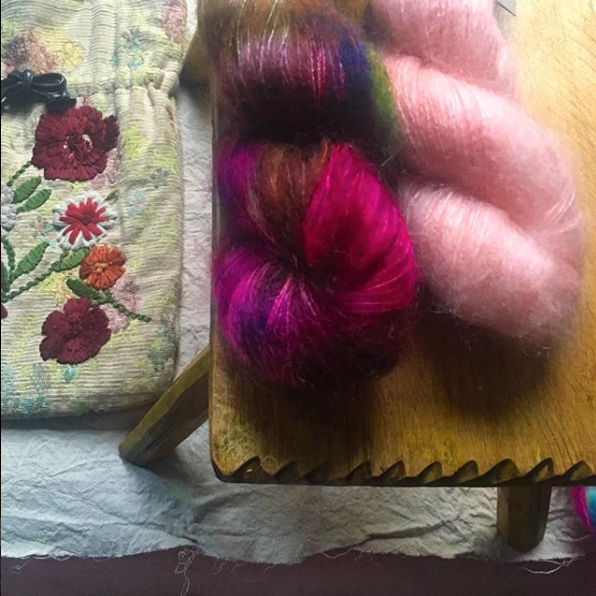 We love the 25 vibrant colours of Ito Sensai mohair and can imagine so many other beautiful pairings. 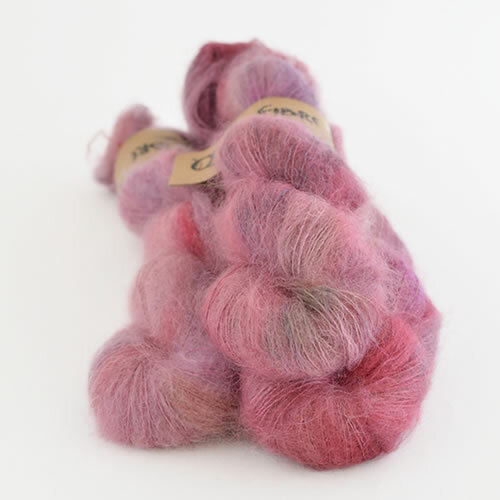 We now have just two of the original Blink kits with Ito Mohair still in stock in Pop Pink and Bordeaux. We’re more than happy though to help you put together something like the other originals or another great colour combination. We have added another kit possibility to our initial offerings. 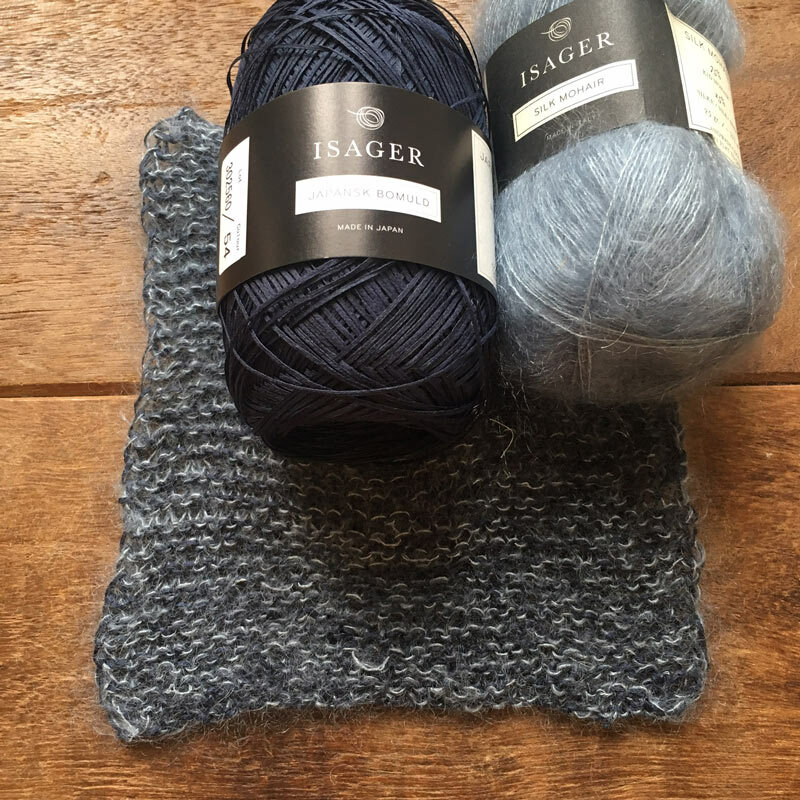 We love the fluffier, more muted colours of Isager mohair. 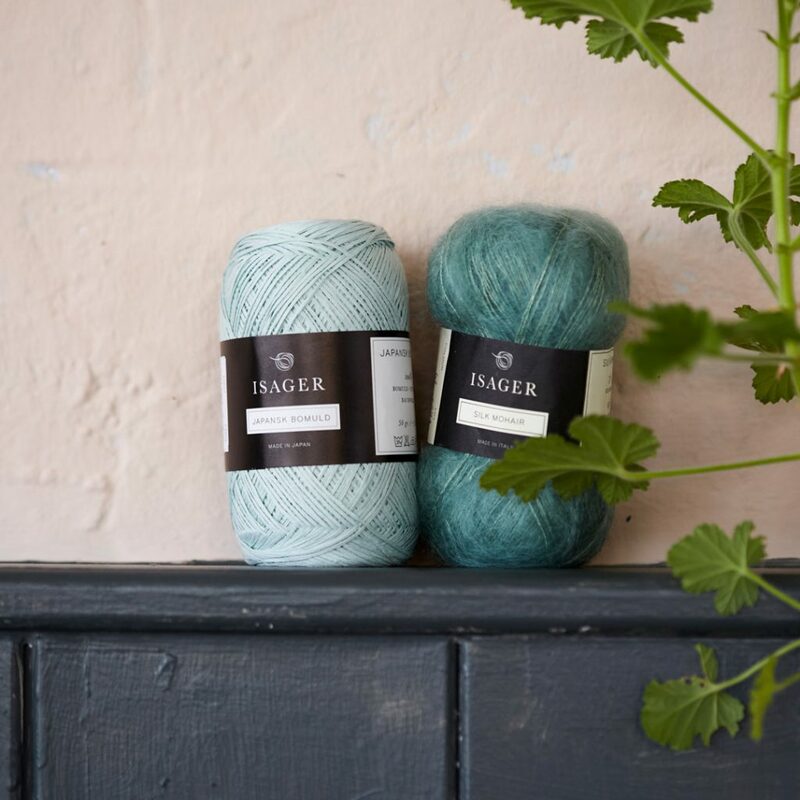 There are 17 colours designed to complement the Isager palette. 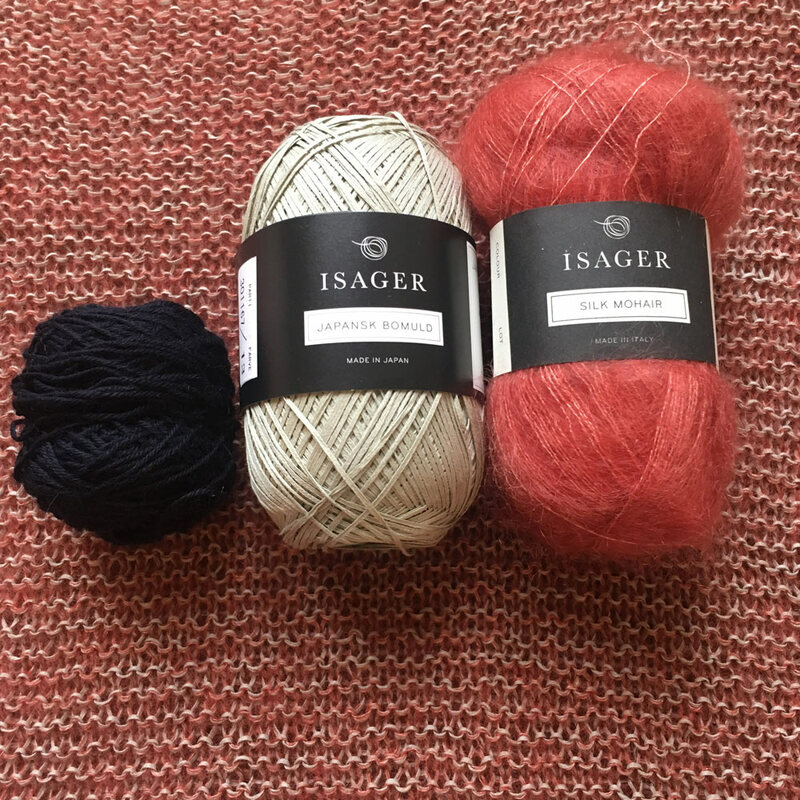 The Isager Mohair/Silk is fluffier and has less meterage than the Ito Sensai, therefore the fabric produced is a little denser. 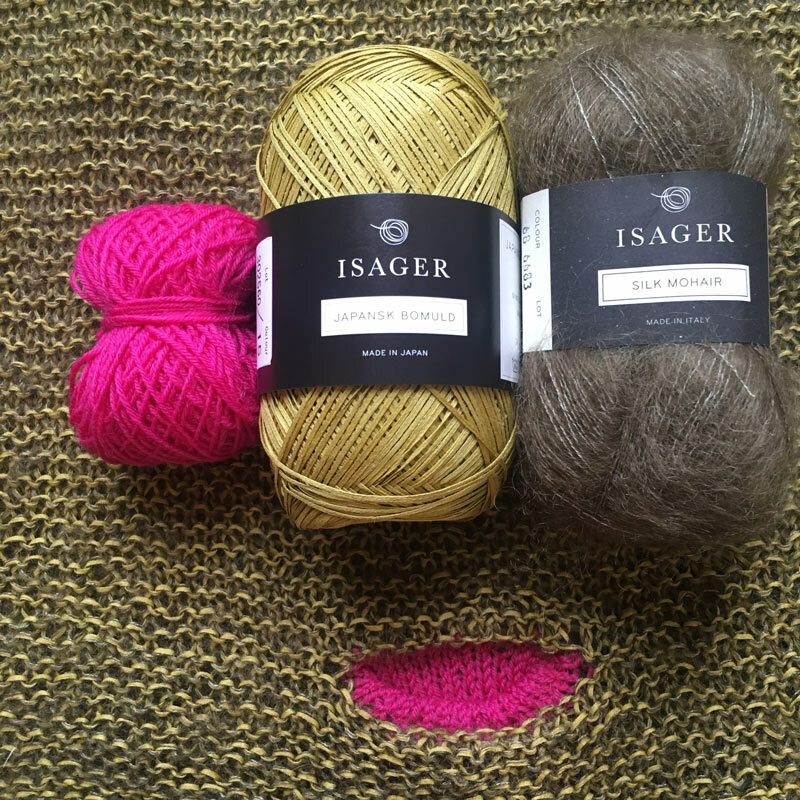 We are offering Blink kits using the Isager Mohair/Silk as well! These come in three colourways with contrasting pockets. Some of you may have seen Carol, one of our lovely Loopettes, wearing the olive green version on our EYF stand or in the shop. We also have a kit of the original colour way with navy pockets. A Sea Green version, with orange pockets. And this one, which uses a dark navy blue Cotton Japansk and a dusk, pale blue mohair. We can imagine so many other great ideas for this pattern. Wouldn’t it be cute with Koigu speckled pockets? 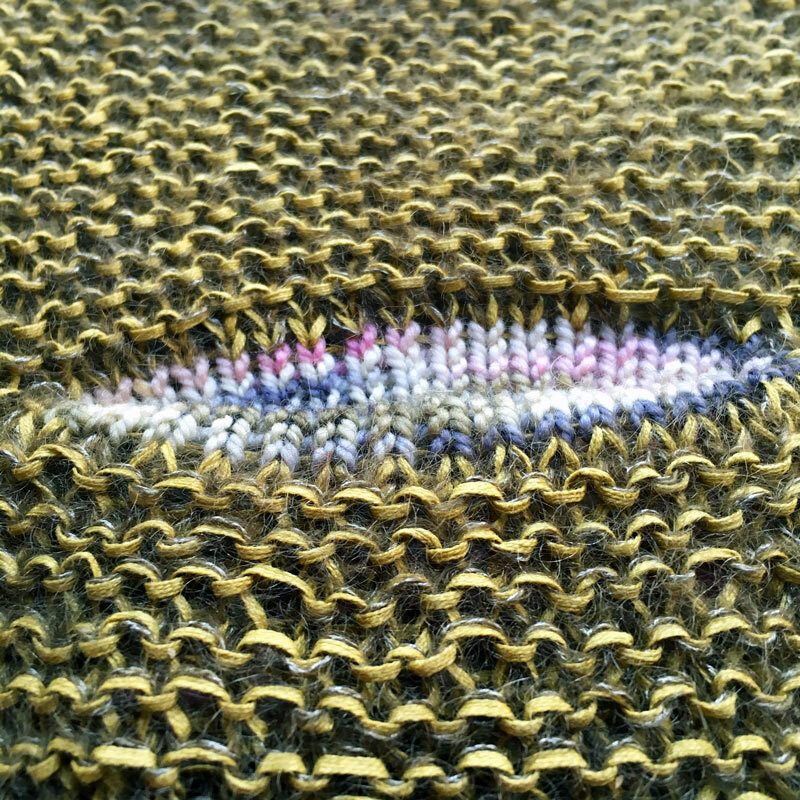 If you want something a little more daring, how about using our new Qing Fibre mohair/silk? We are so excited to have this pattern; we are hosting a knit-along beginning April 10th. We will offer tutorials about choosing the best gauge/size and other techniques involved in making this simple sweater. 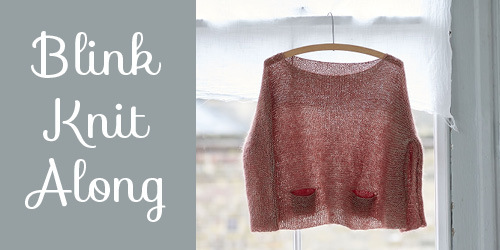 You can register your interest on our Ravelry Blink KAL page. The KAL will take place between April 10th and end of May. Please Join us! Just a little reminder that the shop will be closed on Easter Sunday and Monday. Have a great holiday weekend! The buy now link is not on ravelry yet.